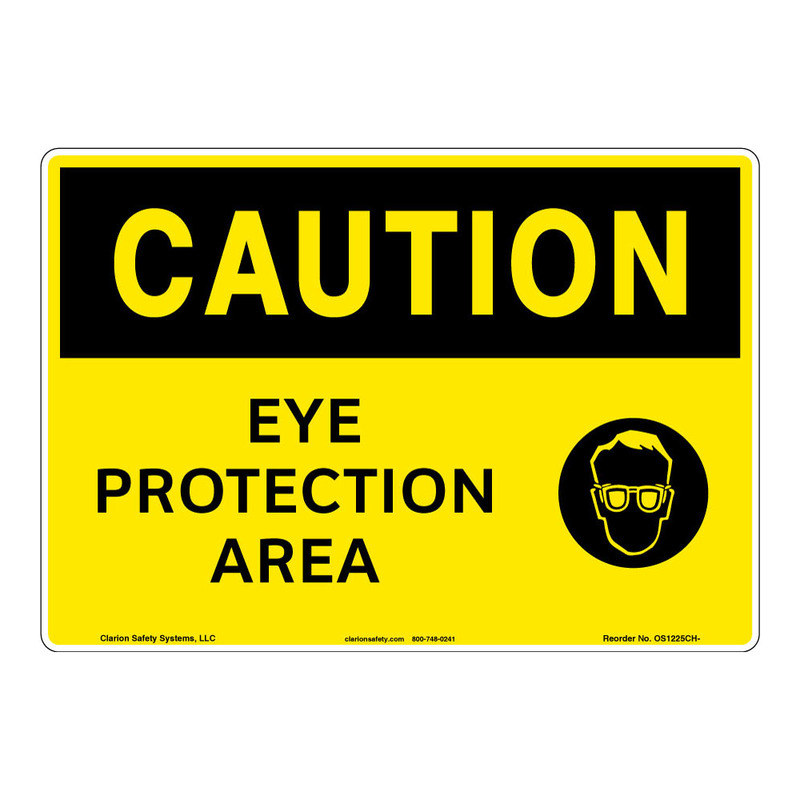 Clarion Safety Systems brings you caution eye protection area safety signs (OS1225CH-) which are produced on premium plastic or aluminum material and are designed to meet your OSHA safety sign needs. OSHA currently only stipulates minimal requirements – the most basic level – for sign content and design. These simplified formats are common in today’s workplaces, but they’re not your only choice. 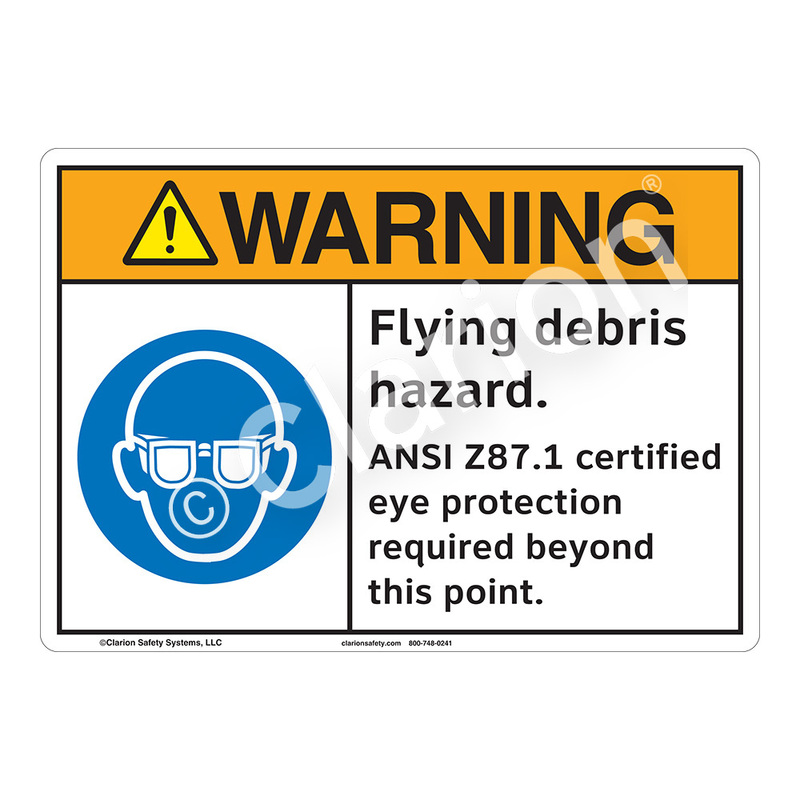 Our best practice recommendation offers additional, critical detail for your safety sign, as it contains the latest criteria for state-of-the-art warnings. Clarion specializes in designing safety signs that are not only compliant with OSHA, but use the latest ANSI and ISO warnings technology. When you choose signs that are up-to-date with today’s ANSI and ISO best practices, you’re moving towards a safer, more productive work environment. We can help by evaluating an individual safety sign or all the signs throughout your workplace, ensuring effective communication using the latest best practices, as well as reducing visual clutter and supporting your organization's big picture safety and risk objectives.